An Academy Award is an accolade bestowed by the American Academy of Motion Picture Arts and Sciences (AMPAS) to recognize excellence of professionals in the film industry, including directors, actors, and writers. 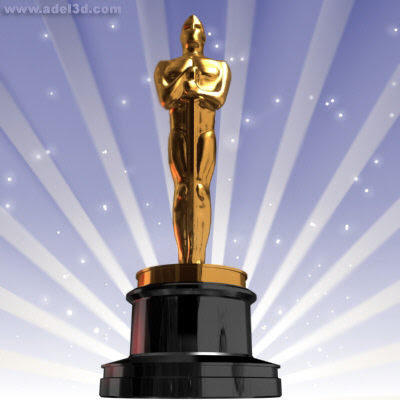 The Oscar statuette is officially named the Academy Award of Merit and is one of nine types of Academy Awards. The formal ceremony at which the Awards of Merit are presented is one of the most prominent award ceremonies in the world, and is televised live in more than 100 countries annually, however the first broadcast was not televised. It is also the oldest award ceremony in the media; its ***************alents, the Grammy Awards (for music), Emmy Awards (for television), and Tony Awards (for theatre) are modeled after the Academy.